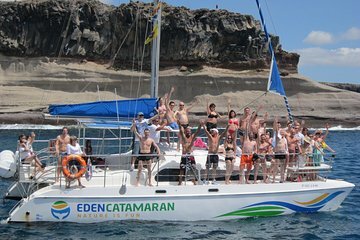 Discover Tenerife Island’s rich marine life by boarding a Catamaran for a 2-hour or 3-hour tour. It’ll be the ultimate stress-free day as you’ll have a crew to look after you, serve you unlimited beer or soft drinks, and on the longer tour, sandwiches too. Save time researching, and get access to a spot where whales and dolphins live permanently. On the 3-hour trip, you can also snorkel and swim in a bay.